We are pleased to invite you to The Fourteenth Regional Conference ”Environment to Europe – EnE18‘‘, which will be held on June 5th 2018 in Belgrade (Chamber of Commerce and Industry of Serbia). 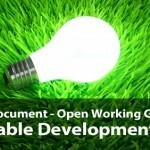 Conference is UN WED (World Environmental Day) and ESDW (European Sustainable Development Week) event. On the World Environment Day 2018 , the UN is expected to give emphasis on the fact that individual actions to preserve the nature can actually help in sustaining a green environment and to understand why forests are important. Nature protection is highly ranked on the list of priorities of the United Nations (Sustainable Development Goal 15 and UN Decade on Biodiversity by 2020), the European Union (NATURA 2000) and all countries that strive to preserve natural values, biodiversity, geodiversity have to develop with responsibility to nature. The goal of the UN Decade on Biodiversity is to support the implementation of the Strategic Plan for Biodiversity and to promote its overall vision of living in harmony with nature. UN SDG 15 refers to the protection, restoration and promotion of sustainable ecosystems use, sustainable forests management, combating desertification and preventing land degradation and biodiversity loss. In response to the threat to nature and biodiversity, the EU has formed a wide European network of protected natural areas, known as NATURA 2000. It covers over 18% of the EU territory, ensuring long-term survival of the most valuable and threatened species and habitats in Europe. Candidate countries and potential candidates for membership in the European Union are facing a great challenge to protect nature and implement a development responsive to nature. The aim of the EnE18 Conference is to highlight the importance of environmental protection and sustainable development in the context of the protection of nature. The Conference is an opportunity for representatives of state institutions, professional, consultative, educational and scientific institutions, managers of protected areas, civil sector, to present current topics in the field of nature protection. Traditionally, within the Conference every year we have a significant number of participants from Serbia and abroad, the participation of over 150 authors and co-authors of papers who published in the CD Proceedings of the Conference, as well as participants without paper. We firmly believe that your scientific/research results/consultancy/views and experience will substantially help a better understanding of these fields. Being aware of the necessity of a close cooperation between science and practice, we invite you to take active participation in the Conference Environment to Europe – EnE18, either by preparing and presenting your paper or by contributing as an auditor and participant. Theme of the year 2017 – “Join the race to make the world a better place”. Theme of the year 2015 – “One World, One Environment”. Theme of the year 2014 – “small island developing states” or “SIDS” and “Raise your voice, not the sea level”. Theme of the year 2013 – “Think. Eat. Save.” And slogan – “Reduce Your Foodprint”. Theme of the year 2012 – “Green Economy: Does it include you?”. Theme of the year 2011 – “Forests: Nature at your Service”. Theme of the year 2010 – “Many Species. One Planet. One Future”. Theme of the year 2009 – “Your Planet Needs You – Unite to Combat Climate Change”. Theme and slogan of the year 2008 – “CO2, Kick the Habit – Towards a Low Carbon Economy”. Theme of the year 2007 – “Melting Ice – a Hot Topic?”. Theme of the year 2005 – “Green Cities” and slogan – “Plan for the Planet!”. Theme of the year 2004 – “Wanted! Seas and Oceans” and slogan – “Dead or Alive?”. Theme of the year 2003 – “Water” and slogan – “Two Billion People are Dying for It!”. Theme of the year 2002 – “Give Earth a Chance”. Theme of the year 2001 – “Connect with the World Wide Web of Life”. Theme of the year 2000 – “The Environment Millennium” and slogan – “Time to Act”. Theme of the year 1999 – “Our Earth – Our Future” and slogan – “Just Save It!”. Theme of the year 1998 – “For Life on Earth and slogan – “Save Our Seas”. Theme of the year 1997 – “For Life on Earth”. Theme of the year 1996 – “Our Earth, Our Habitat, Our Home”. Theme of the year 1995 – “We the Peoples: United for the Global Environment”. Theme of the year 1994 – “One Earth One Family”. Theme of the year 1993 – “Poverty and the Environment and slogan – “Breaking the Vicious Circle”. Theme of the year 1992 – “Only One Earth, Care and Share”. Theme of the year 1991 – “Climate Change. Need for Global Partnership”. Theme of the year 1990 – “Children and the Environment”. Theme of the year 1989 – “Global Warming; Global Warning”. Theme of the year 1988 – “When People Put the Environment First, Development Will Last”. Theme of the year 1987 – “Environment and Shelter: More Than A Roof”. Theme of the year 1986 – “A Tree for Peace”. Theme of the year 1985 – “Youth: Population and the Environment”. ENVIRONMENT UNDER REVIEW ( ENVIRONMENTAL ASSESSMENT, INFORMATION MANAGEMENT). The goal of this activities categorisation is EASD strategic planning of activities in future. It is also lesson learned after EASD representative participation at UNEA3 in Nairobi. Infrastructure is a pre-requisite for advances across the 2030 Agenda for Sustainable Development, including for reducing poverty, promoting economic growth, addressing inequality and ensuring environmental sustainability. Infrastructure is addressed directly through SDG 9, which commits the international community to build resilient infrastructure, promote inclusive and sustainable industrialization and foster innovation. Moreover, “investments in sustainable infrastructure are recognized as a major cross-cutting driver that can contribute to achieving all the SDGs”, as stated by Under-Secretary-General for UN DESA, Wu Hongbo, at the 2015 Global Forum on Development. Resilient infrastructure is essential for ensuring sustainable development for all. “If we are to achieve our goals, and leave no one behind, we must address large infrastructure gaps in developing countries,” said Secretary-General Ban Ki-moon at the inaugural Global Infrastructure Forum in April 2016. “Developing countries, particularly the most vulnerable, need international support to bridge existing infrastructure gaps,” emphasized Secretary-General Ban Ki-moon during the Global Infrastructure Forum. Infrastructure gaps pose major challenges to the implementation of the SDGs. The financing gap for infrastructure in developing countries, for example, is estimated to be 1 to 1.5 trillion dollars annually. Through the Addis Ababa Action Agenda (AAAA), the international community has committed to support resilient, sustainable infrastructure and to provide a comprehensive framework for mobilising the means to finance it. Infrastructure that enables countries to adapt to and mitigate climate change is needed to support the Paris Climate Change Agreement. New and resilient infrastructure is also needed to support sustainable urbanization, as the number of people living in cities in emerging economies is expected to double by 2030. Resilient infrastructure is needed, moreover, to cope with the increasing incidence and magnitude of natural disasters. In recent years there have been several new global, regional and national initiatives aimed at increasing investment in infrastructure. In Africa, for example, infrastructure is a priority element for realizing the vision of Africa’s Agenda 2063. At the global level, the international community committed to support the realisation of resilient, sustainable infrastructure through the AAAA, and created a new Global Infrastructure Forum—which held its inaugural meeting in April—to facilitate access to financing and technical expertise. 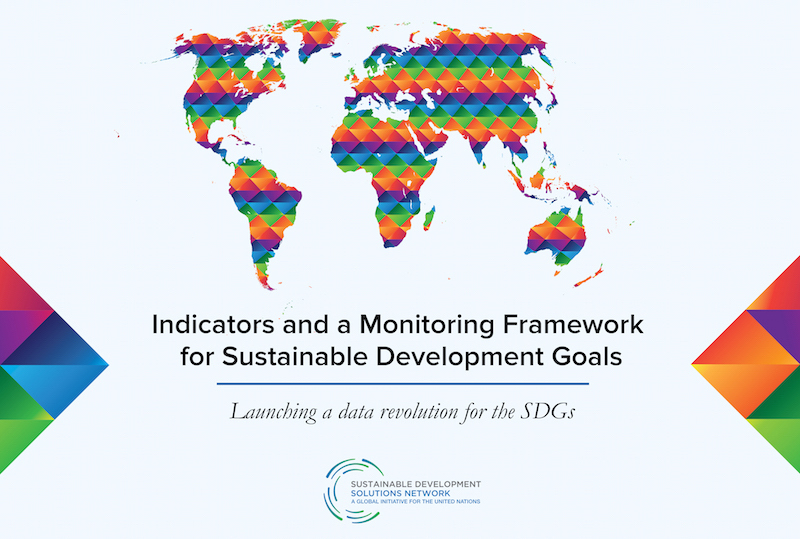 The Sustainable Development Solutions Network (SDSN) has recently published its final report on Indicators and a Monitoring Framework for the Sustainable Development Goals: Launching a data revolution for the SDGs. This report is the result of over 18 months of consultations led by the SDSN with the contributions of nearly 500 organizations and thousands of individuals – draft versions of the report have so far been downloaded over 80000 times.The report outlines a tiered monitoring framework at the national, global, regional, and thematic levels, and presents a concise set of 100 Global Monitoring Indicators. This limited number of indicators can comprehensively track all 169 OWG targets while balancing countries’ capacities and domestic monitoring commitments. This report is a contribution to the ongoing post-2015 processes, including the Inter-Agency and Expert Group on the SDGs (IEAG-SDGs). Environmental Ambassadors for Sustainable Development is the Member of the Sustainable Development Solutions Network – SDSN . We follow Informal interactive hearings with representatives of NGOs, CSOs, major groups and the private sector on the post-2015 development agenda, in NY. Goal 11: Make cities and human settlements inclusive, safe, resilient and sustainable . Complete consensus among governments and stakeholders have been reached. 19 focus areas recommended for further consideration at upcoming intergovernmental negotiations on Sustainable Development Goals – SDGs (which will start on March 3, 2014).